The Integrity Mailbox, located at the resting place of Engineering Building, UNIST. On the afternoon of July 27, 2016, UNIST has launched a new transparency act in a bid to increase transparency and to spread the culture of integrity throughout the campus. This initiative was to install two new integrity mailboxes on campus. 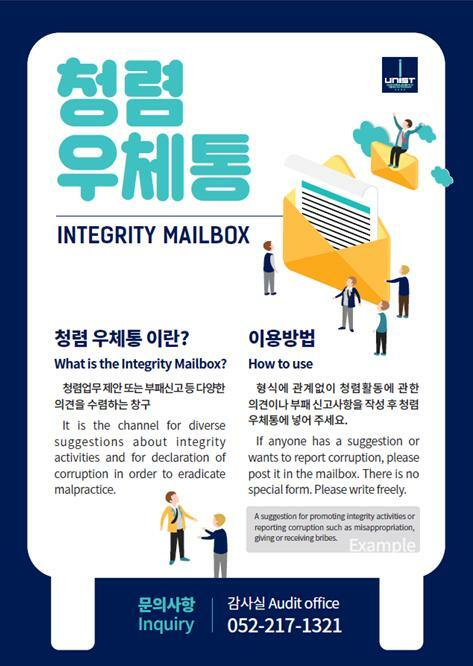 The Integrity Mailbox is the window for collecting corruption reports or any suggestions on clean policy and anti-corruption. 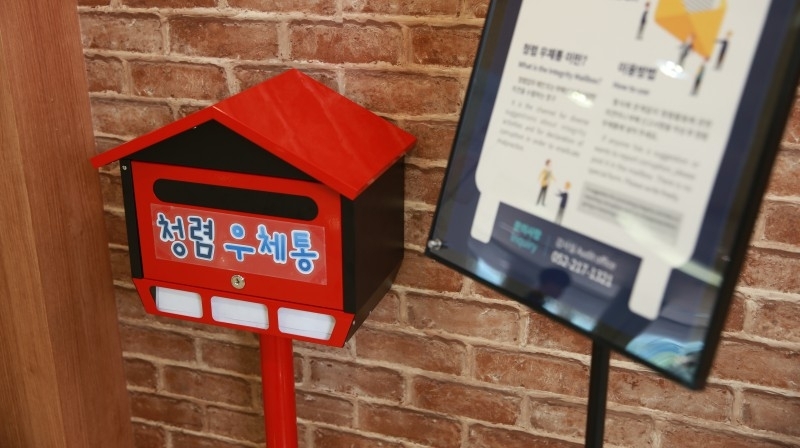 These mailboxes are located in easily accessible places, one at the UNIST Staff Cafeteria (3F) in Main Administration Building and another at a resting place (2F) in Engineering Building. The corruption reports or any comments on clean policy will be reviewed and managed by UNIST Audit team. All departments involved will, then, discuss ways to resolve corruption issues, if there are any.